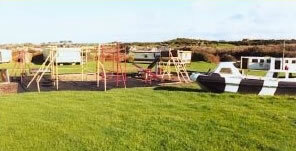 Ad Astra Caravan Park (Brynteg) - Ad Astra Caravan & Country Park Is Situated On The Beautiful Isle Of Anglesey On The North Wales Coast. The Park Is On The Outskirts Of The Village Of Brynteg Just Two Miles From The Beach And Bay At Benllech Famous For Its Golden Sands And Clear Blue Waters. St. Davids Park (Pentraeth) - St. David's Park is just 15 minutes drive from the mainland, but a million miles away from the daily grind of city life. Set in an idyllic location within an Area of Outstanding Natural Beauty, boasting its own private beach with stunning views of the coastline and Red Wharf Bay, St David�s Park is indeed a unique and special place. 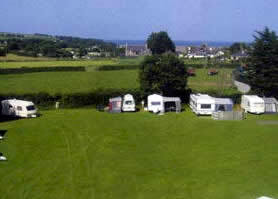 Rhos Caravan Park (Pentraeth) - All pitches are on level, well maintained grass and offer a choice of open views or a a more sheltered hedge or stone wall. Tyddyn Isaf Caravan and Camping Site (Dulas) - Thank you for considering Tyddyn Isaf as your Camping and Caravan holiday destination, we are a family owned and managed Park that overlooks Lligwy Bay on the Island of Anglesey. Penrhyn Bay Caravan Park (Holyhead) - Owned and run by the Williams Family, Penrhyn Bay Caravan Park is situated on the North West Coast of Anglesey, on headlands overlooking Holyhead Bay and the Skerries Lighthouse. 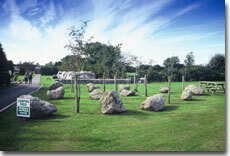 The park comprises a touring area of 32 acres with pitches for touring caravans (with electric hook ups) and tents. 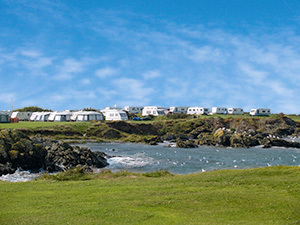 Bagnol Caravan Park (Trearddur Bay) - Bagnol Caravan Park and Tyn Towyn Caravan Park are both set in their own grounds within walking distance of the marvellous sandy beach at Trearddur Bay on the holiday island of Anglesey in North Wales. Ty Hen Holiday Park (Rhosneigr) - A ten minute walk to Rhosneigr a small village on the south west coast of Anglesey, overlooking Caernarfon Bay and Irish Sea. Locally - five seaside award beaches (Good beach guide 2006), miles of sand dunes, walks, wildlife and fresh air, sailing, bowling, surfing, sub-aqua activities, aircraft spotting, golf, cycle rides, ornithology, botany, astronomy, and isolation. 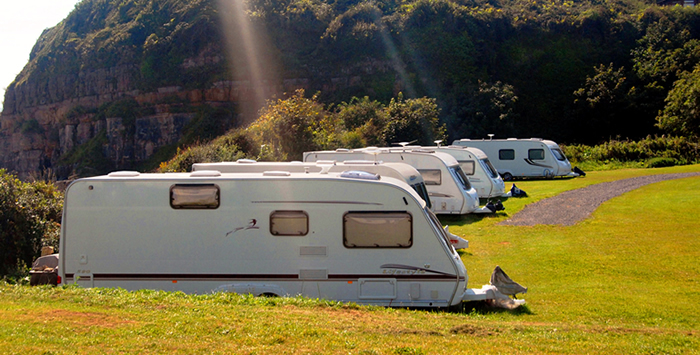 Ty Newydd Leisure Park (Benllech) - Ty Newydd is a small, friendly, family run caravan park only one mile from the very popular Benllech Bay. 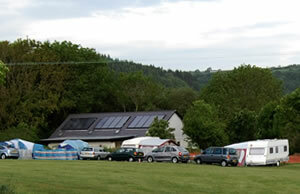 The park is set in 4 acres of open countryside with views of Snowdon and the surrounding hills.